Liverpool boss Jurgen Klopp believes Steven Gerrard has helped Rangers narrow the gap on their Scottish Premiership rivals Celtic this season. Rangers have made a positive start to their season, reaching the group stages of the Europa League, while also going unbeaten in the league until their recent 1-0 defeat to the Hoops at Parkhead last weekend. 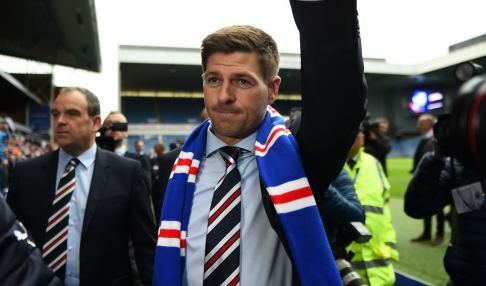 Having managed in the youth set-up at Liverpool under Klopp, Gerrard made the bold move to take up the position at Ibrox and has already got Gers on the up. Klopp has been impressed with the start the former England and Liverpool midfielder has made in Glasgow and feels he has already had an impact with the Light Blues. "Then you lose against Celtic. Wow, what a surprise! That is a top team in the league." Rangers are 100/1 to win the Scottish Premiership title this season, while Brendon Rodgers' Celtic are 1/1000 to retain their crown.